XBOSoft CEO Philip Lew will show in his half-day user experience tutorial how to prevent users from abandoning apps. Lew's tutorial will be part of TechWell’s Better Software West Conference in Las Vegas, June 2016. XBOSoft CEO Philip Lew to Present at TechWell's Better Software Conference West, June 2016. Thought leader and software quality assurance expert Philip Lew will conduct a half-day tutorial titled “Avoid Critical UX Mistakes to Delight Your Users” at Better Software Conference West in Las Vegas, Nevada. Lew’s session on June 6, 2016, at 1:00 p.m. to 4:30 p.m., is part of TechWell’s six-day software conference. As organizations continue adopting mobile-focused strategies, fighting to be the number one mobile application (app) in any genre – let alone being noticed at all – becomes more difficult. Not only does an organization’s app need to function properly, but it also needs to stand out in design and usability. The first step to truly preventing users from deserting the app is by utilizing a user experience (UX) design that speaks to the user. Join Lew’s half-day tutorial and learn how to “Avoid Critical UX Mistakes to Delight Your Users” at Better Software Conference West this June by registering on the Better Software Conference website. For more information about Lew’s tutorial, visit http://xbosoft.com/event/better-software-west-conference-2016/. Better Software Conference West begins June 5, 2016 and concludes on June 10, 2016 at Caesars Palace in Las Vegas, Nevada. For more information about Better Software Conference and to register, visit https://bscwest.techwell.com/. Philip Lew, CEO of XBOSoft, oversees strategy, operations, and business development since founding the company in 2006. In a space of 25 years, he has served many roles in the technology industry at the executive level in the USA and Europe. 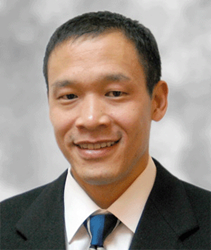 Lew is a certified PMP and holds a BS and master’s degree in Operations Research and Engineering from Cornell University and a Ph.D. in Computer Science and Engineering from Beihang University. XBOSoft is a software testing and quality assurance company that offers services in web, mobile and desktop applications, as well as broad domain experience with extended expertise in healthcare and finance. XBOSoft’s quality process assessments and test methodologies speed products to market and improve clients’ software quality and performance throughout the software’s life cycle.